I am a firm believer in progress… progress has to be made. However, there always seem to be hick-ups along the way. 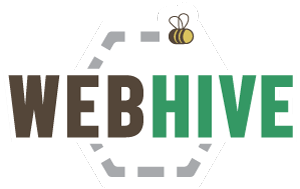 For those of you that noticed… Web Hive has a fresh new look/theme. I thought about creating a new theme which is the way I’ve gone in the past, but Appply by WooThemes was such an amazing starting point and so close to what I wanted I couldn’t reason putting in the (what would be) wasted effort creating a custom theme. I am also updating Plesk Panel on our server from version 10.4 to version 11. Version 11 offers a new feature in the Customer and Billing section that allows for affiliate commissions. Wouldn’t it be nice to promote the great hosting you’re receiving while making a few dollars back to pay for your own hosting costs?